Good Morning everyone! I have gotten a little behind on writing my weekly Sunday Commentary. 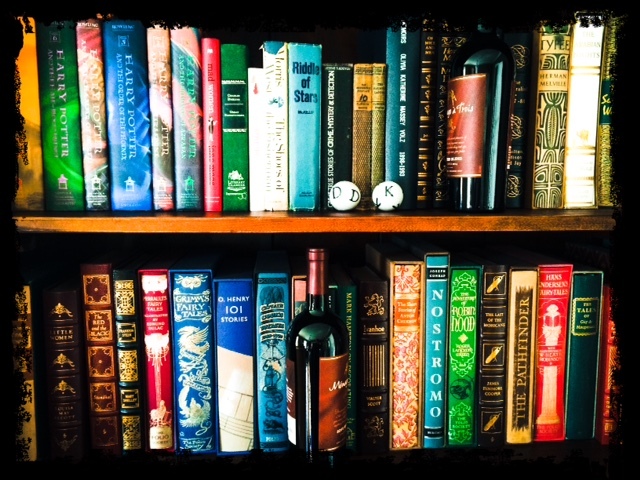 So, I’m sitting in my chair, laptop on my lap, dreaming of a big breakfast (that someone else would cook) and mulling over some books I have recently read when I thought Breakfast… Books… Breakfast…. Books. Wait, those two things go together splendidly! There’s nothing I like better than reading a book while eating breakfast. The next time you find yourself eating one of these meals, try doing it while reading these books or one of your own. What matches up perfectly with our American Grand Slam breakfast? 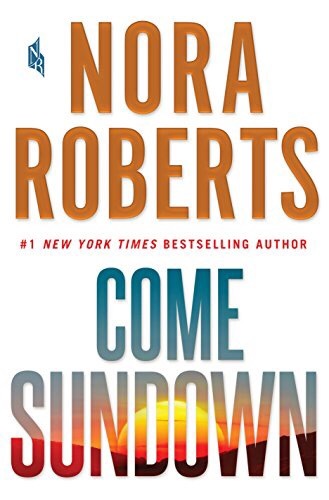 Come Sundown by Nora Roberts. Bodine Longbow is running the resort side of her family’s business. She is not looking for love but she definitely finds it when Cal Skinner moves back home. Their love story is the perfect silky fried egg that you eat with toast. That piece of crisp bacon is the family drama that sideswipes your emotions taking this novel beyond a normal romance. Perfection is often what you can easily grab out of your refrigerator and make. Yep, that’s Nora Roberts to a tee! Cinnamon Roll– An oooey, gooey wrapped up bundle of goodness. OMG…. Really any Kristen Ashley novel is a guilty pleasure. It’s like that cinnamon roll that sits on the plate in front of you. You gaze at it longingly knowing that once you start eating it you won’t be able to put it down until you have licked the last bit of frosting off the plate. For me, that’s a Kristen Ashley novel. I stared at The Time In Between on my kindle and waited until I knew I had the time to read it straight through to the finish. It did not disappoint, just as that cinnamon roll never has… I wish I had one of each right now! The Denver Omelet- with Cheese please! The egg cup. Oh so very civil and proper. You tap it with your spoon until you crack through the top and then eat the insides out of the shell. Alexander Rostov, the gentleman in A Gentleman in Moscow is the epitomy of civilized. Even though he is under house arrest in the grand Metropol hotel he is always elegant, cultured and charming. He and this egg in a cup had a lot in common. Smooth veneer, but with a little work you would taste that silky goodness that resides inside. All in a very civilized manner, of course! This breakfast tag was so much fun to put together! Warning though, if you choose to take part in this tag you will crave a massive breakfast at the end of it! Get out your tissues because Nora Roberts newest romantic suspense novel is a three hanky event. A novel about family lost and family found, love, and survival. There are two storylines in Come Sundown. The first, takes place in current time at the Bodine resort and ranch. Bodine Longbow lives on the ranch with her brothers and parents while running the resort side of their business while her father and brothers run the ranch side. We learn that Bodine, named after her mother’s side of the family who owns the land their property is on, is super organized and the lady in charge, but isn’t the most emotional woman in the world. Not that’s she’s unfeeling but she’s all business. She has to be to keep their little empire afloat. Her love interest, Cal Skinner, is back after leaving at eighteen to make it on his own. He had worked as a horse wrangler in the movies and was ready to settle back down close to his family. He finds a job working for Bodine and the sparks start quietly zapping as the intensity between them builds. The second plot line is set 26 years ago when Alice Bodine is hitch hiking back to her parents ranch after disappearing on the day of her sister’s wedding. She is kidnapped off the side of the road and held against her will until 26 years later when she escapes. This plot line was very well done, but the subject matter was not for the faint of heart. Alice was beaten, raped, and indoctrinated into this new life in ways that were heartbreaking to read about. When she finally has her reunion with her family, her journey back to normalcy was very emotional and well written.